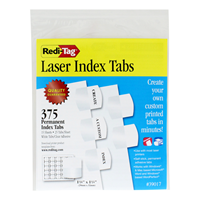 Create your own customized tabs with templates in Microsoft Word or WordPerfect to produce a finished, professional look anywhere you need to. 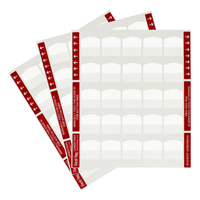 Made from heavy-duty, durable plastic that won't tear or curl, these self-stick, permanent adhesive tabs attach to edge of a sheet for even more customization. 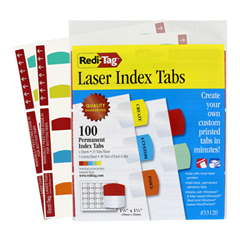 Use on books, manuals, reports, presentations and more! 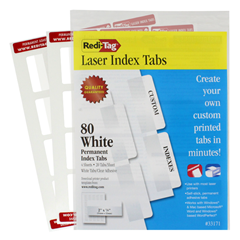 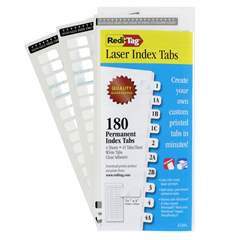 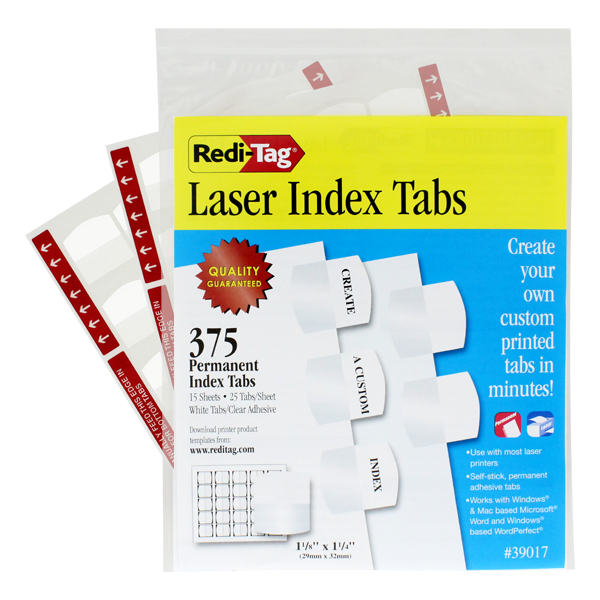 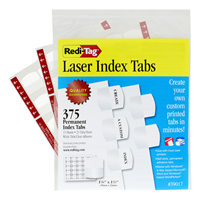 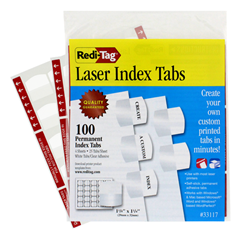 Tab size: 1-1/8" x 1-1/4"
Laser Printable Index Tabs, 1-1/8"
Laser Printable Index Tabs, 2"